Each entry in the audio tape catalogue stored on the CDXT contains a column where the words “OK” or “NO” are read. The first classification refers to the tracks that are in good condition and those who have an historical significance to the archive; the second one, refers to those that hasn’t been classified, those without a historical significance or those who present technical recording problems- as noise or saturation. By considering this, Blume made two sound collages: one with the “OK” audio samples and the other with the “NO” ones, both were recorded in each side of an audio cassette. 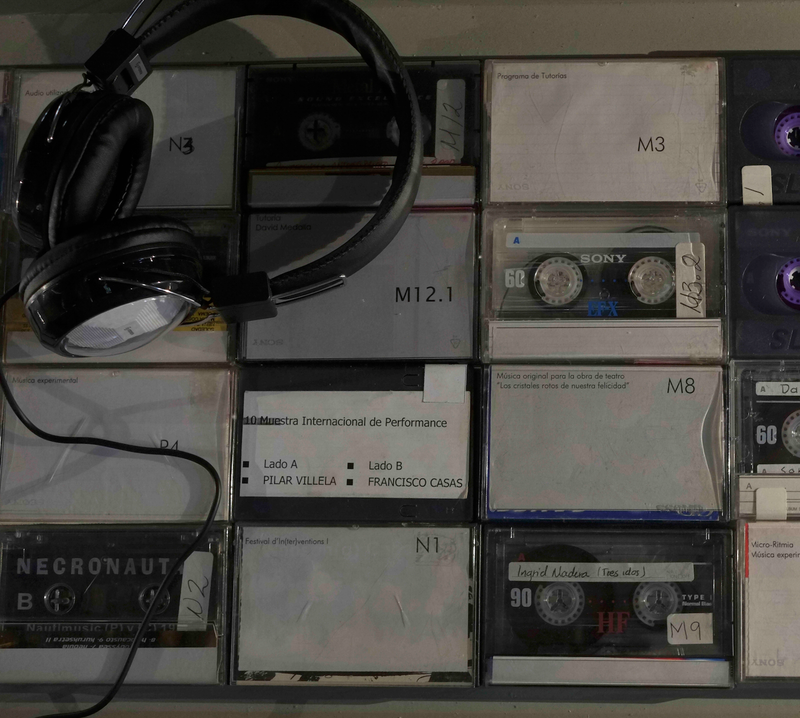 Together with the sound piece, the audio tapes where the samples were taken were shown. At the end of the exhibition, the tape piece was integrated to the collection and classified inside the CDXT sound catalogue. Similar between each other, the collages work as mirrors that question the limits between noise as an aesthetic category and incidental noise. Sound installation for FONEMA, Ex Teresa, Mexico City (March 2016). Curated by Enrique Arriaga & Esteban King.